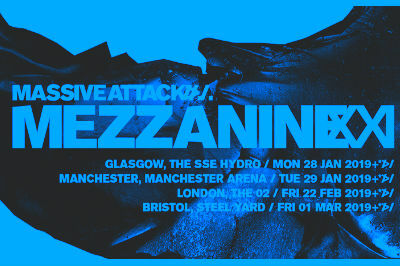 Massive Attack celebrate 21 years since their classic album Mezzanine was released with a special anniversary tour hitting Glasgow SSE Hydro on Monday 28 January 2019. This brand new live show features new visuals and will also feature Elizabeth Fraser, formerly of Scottish indie legends The Cocteau Twins, providing live vocals. Mezzanine saw the band explore a dark pre-millennial vibe, which has informed much of their work since. Exploring dub, dance, rock and alternative sounds throughout, this landmark album stands as a testament of being one of the defining albums of the 90s.